What is a music visualizer video and why do I need one? It sounds obvious, but if you want to promote your music on video networks such as YouTube or make use of Facebook videos you need a video. 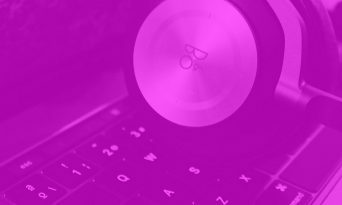 Some platforms like Soundcloud allow you to upload audio by itself but you need video content for your music to make use of the other major media platforms. 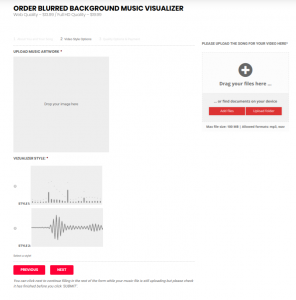 If you do not have the budget for a music video, or the track just isn’t right for a music video – a music visualiser can be the answer you are looking for. The above example simply uses the song’s artwork, it gives the music a professional and clean look on YouTube and costs a huge amount less to create than a full music video. How do I get a Music Visualizer for my Song? Once you have selected an option from the page above you will be taken to another page where you enter the details of the track, select some options and upload your music. Once you have completed the simple form and made payment your video will be delivered within 48 hours! What Kind of Music Visualizers Are There?